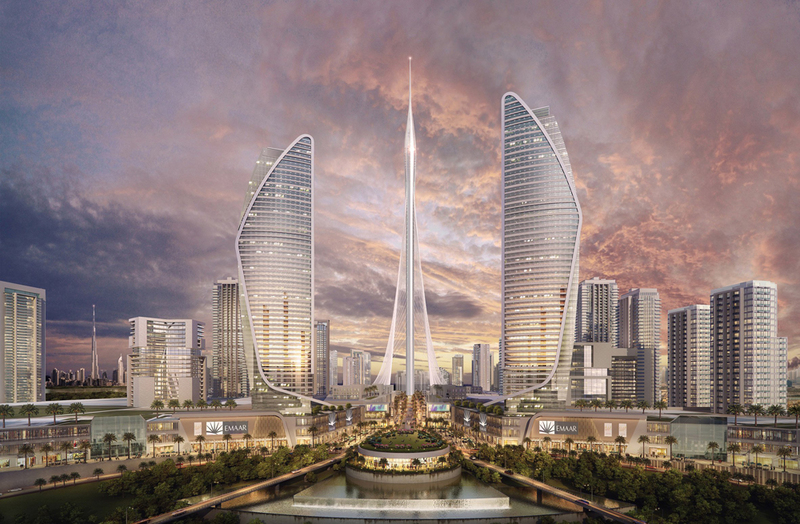 Spanish architect Santiago Calatrava has released more images of his proposed Dubai Creek Tower – now under construction and expected to surpass the 828-metre-high Burj Khalifa. 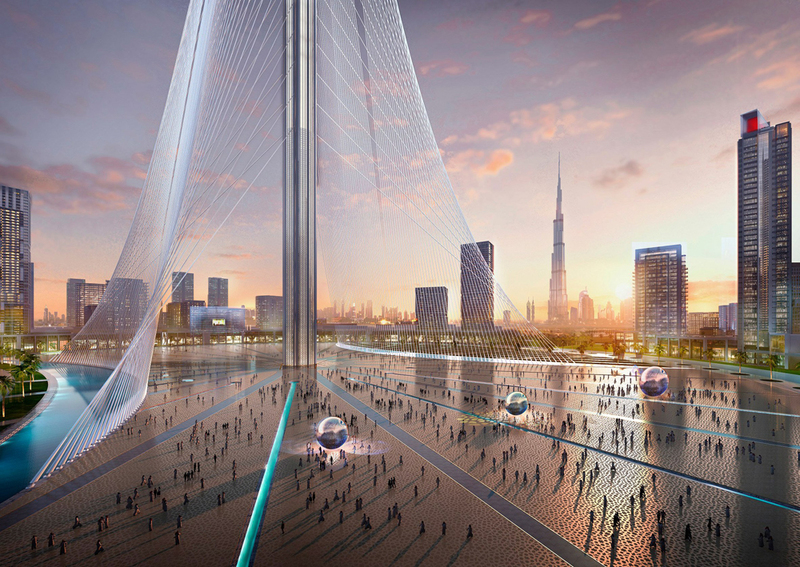 The landmark observation tower broke ground earlier this week on Dubai Creek Harbour, a vast development along the waterfront of the United Arab Emirates city. 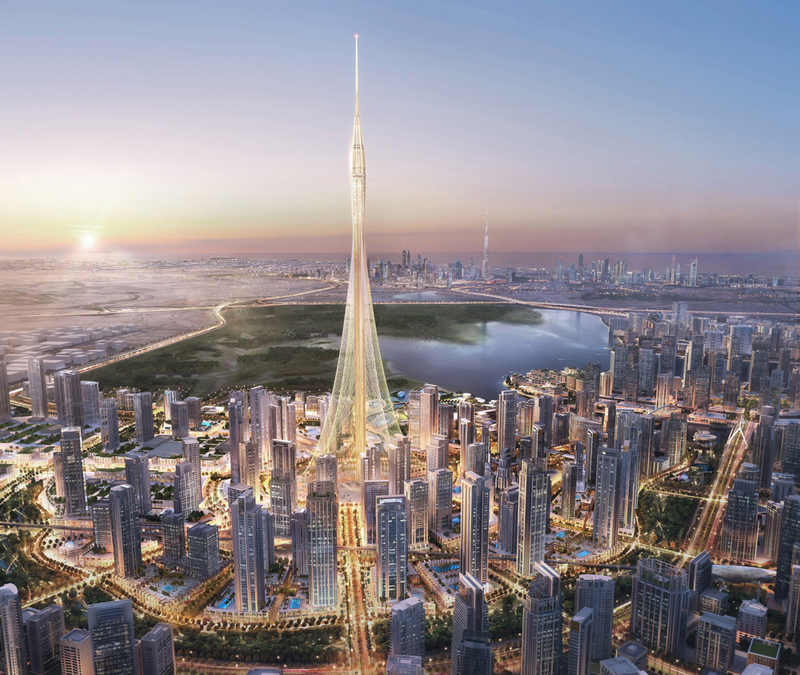 Calatrava hasn’t revealed the planned height of the tower yet – but the architect’s son, Micael Calatrava, has said that the structure will be “a notch taller” than the nearby Burj Khalifa. According to the team, the structure’s curved profile is influenced by both the form of the lily flower and the minarets that are typical of traditional Islamic architecture. 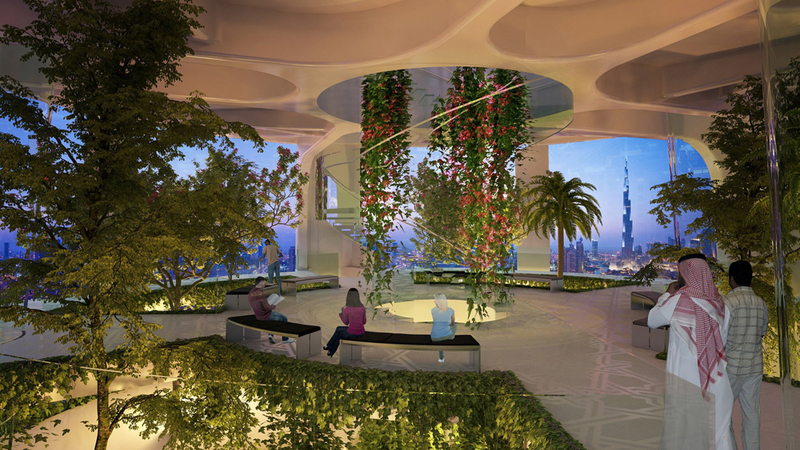 It will feature rotating balconies, vertiginous observation decks and elevated gardens intended to evoke the Hanging Gardens of Babylon. “The building’s design is inspired by the Islamic tradition, evoking the same history that brought the world the Alhambra and the Mosque of Cordoba,” said Santiago Calatrava. The structure will be tethered to its waterfront site by cables – not dissimilar to those used in the architect’s Jerusalem Chords Bridge, which is modelled on a harp. These are intended to look like the ribbing of a lily’s leaves. Meanwhile, the observation decks will come together to create a bud-like shape near the top of the tower. 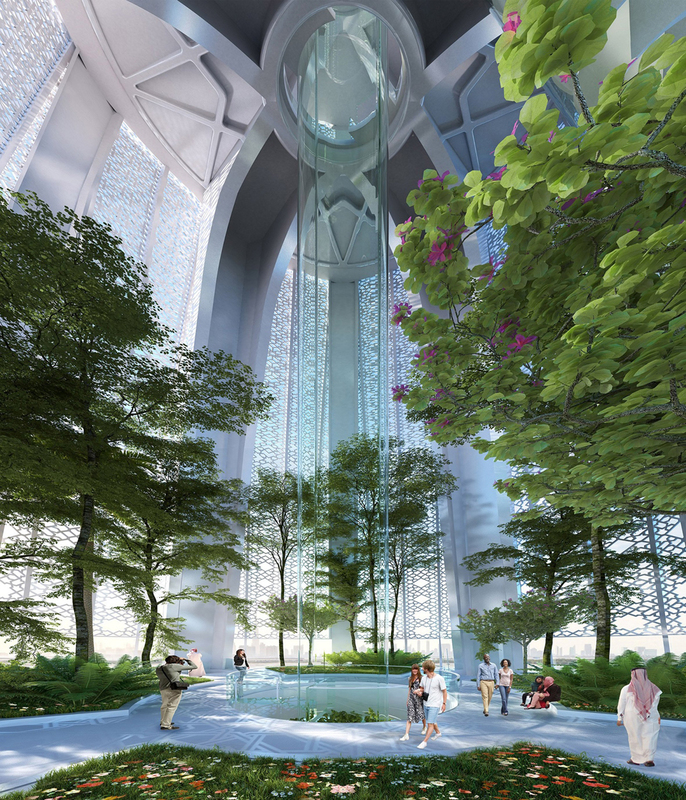 “These architectural marvels combine elegance and beauty with math and geometry.” The tower will also integrate a sustainable cooling system that will also provide water for cleaning its exterior. 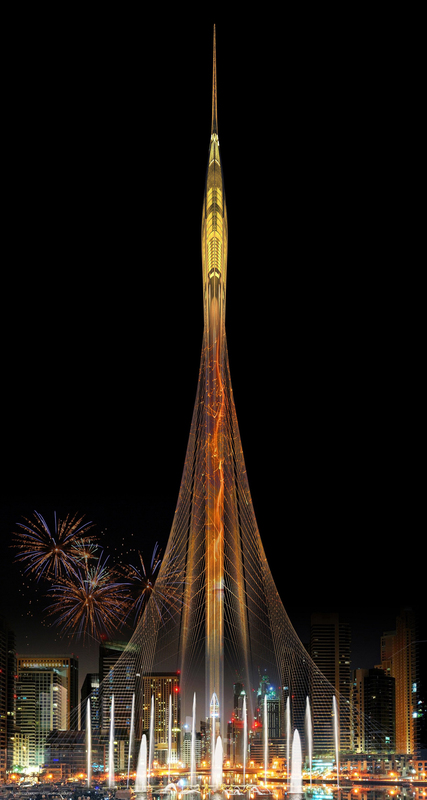 “The design of the tower of Dubai Creek Harbour is rooted in classical art and the culture of Dubai itself. It is also a major technological achievement,” said Calatrava. “Throughout my career I have used technology and engineering as a vehicle for beauty and art,” he added. “This project is an artistic achievement, inspired by the goal of making this space a meeting point for citizens, not only from Dubai and the UAE but all across the world. 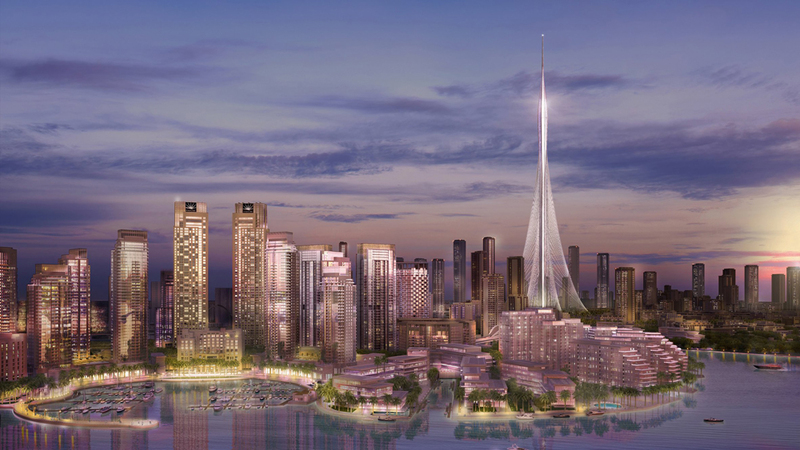 It is a symbol of belief in progress.” The tower and Dubai Creek Harbour scheme are being developed by Dubai Holding and Emaar Properties, the same firm behind the Burj Khalifa. 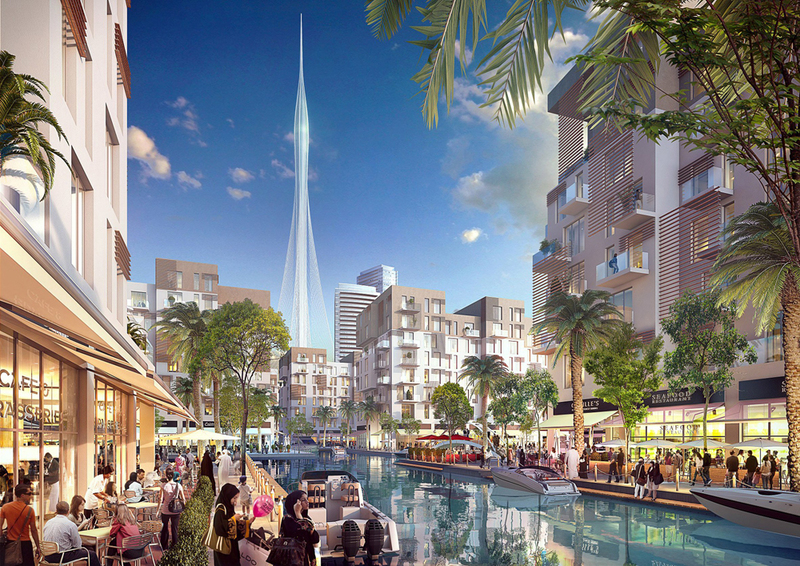 The Dubai Creek Harbour scheme will also include a pair of rocket-shaped residential towers, which the developers say will be the tallest in the world. And we strongly recommend you to check other coolest buildings: Top 20 World’s Tallest Buildings.